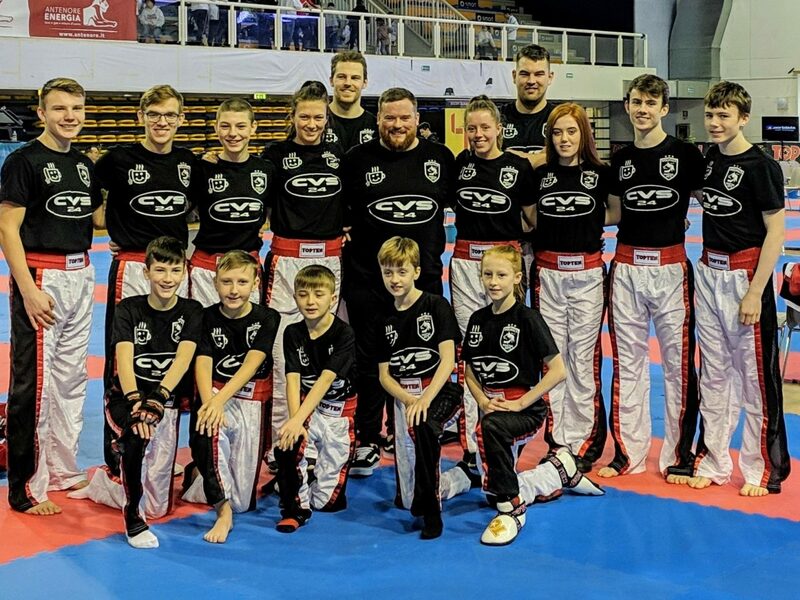 At Wolfpack Martial Arts, we believe that martial arts helps to build strength of character, independence and self confidence in any individual, at any age. Parents send their children to our classes from ages four onwards, realising that there are so many benefits that kickboxing training will bring to their little ones from fitness to key life skills. However, this is not to say that parents do not have a place within our syllabus teaching! We are lucky to be surrounded with a great team – our instructors, students and parents all working together to create a real family-friendly atmosphere within our club. An example of this would be within our Lil Dragons class (ages four to six) that we run every Saturday morning at 10am. 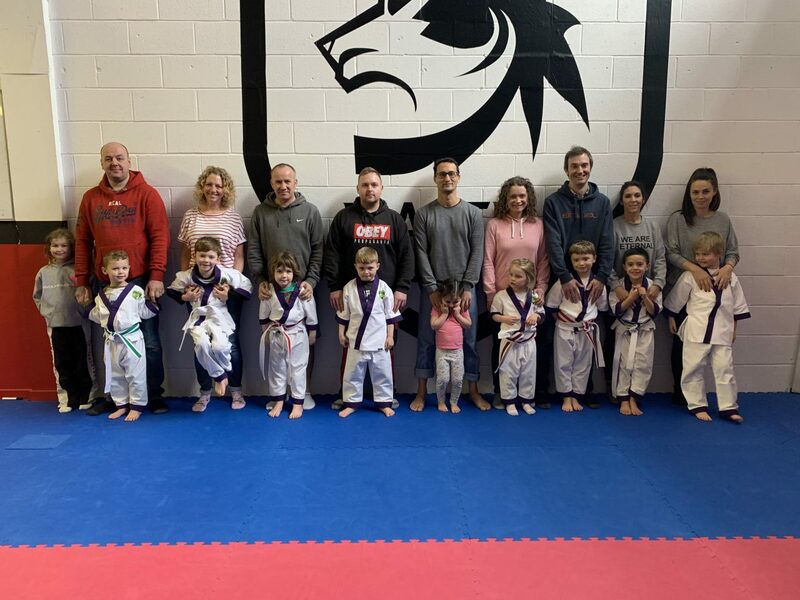 We recently had all of our parents come and take part in the class, running through the forms that each child will need for their next belt. It is always good for parents to get involved, to be role models for their children and helping them out where they need it. So, there is always place for parents to get involved with their child’s martial arts journey. To start yours, drop us a message via our social media outlets or the “Contact” form on this page and one of our team will be in contact shortly. 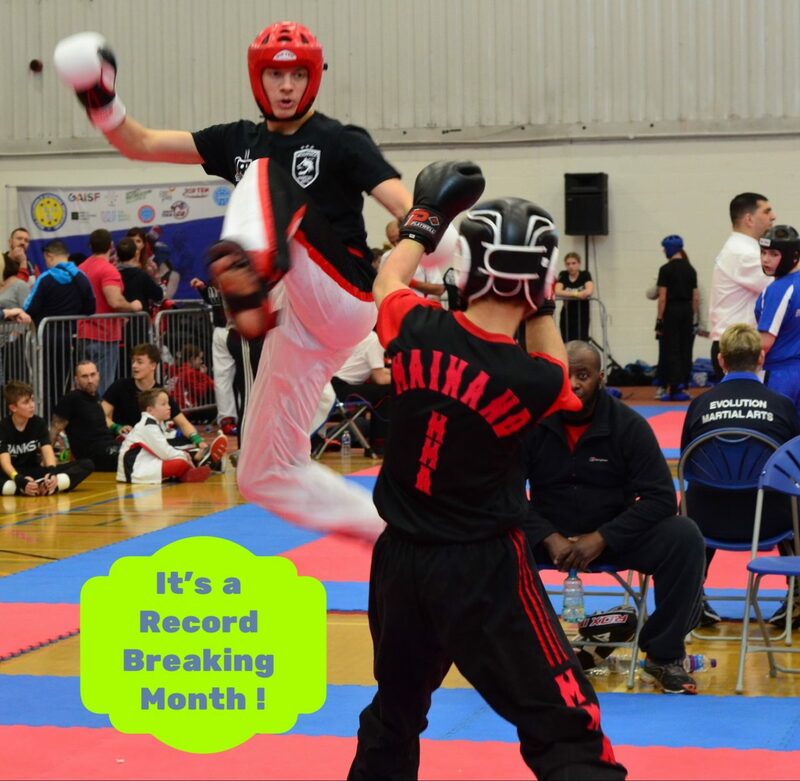 As another month passes, March certainly was a special one and for a change we are not talking about tournament success! Of course that itself hasn’t changed with great successes both domestically and internationally. In this post however we would like to welcome our newest twenty three members to Wolfpack’s ranks, across all the different classes and membership strands! To highlight a few, our Lil Dragon programme is doing very well with lots of new, bubbly faces joining in every Saturday morning – so much so we launched a Thursday class at 5pm. In fact, the Saturday class at 10am is so close to being fully booked until some of those students move up into the Wolfcubs programme. Our other programmes are filling up too, with new members in Wolfcubs (seven to eight years) and Juniors (nine to thirteen years). Our Thursday night adult kickboxing class sees over twenty students on the mats, pushing their martial arts skills and fitness to the max. It’s always a sweaty one! Tuesday night brings our kickboxing circuits, where there is a great atmosphere and ethos. This allows new members to build their knowledge of our martial arts syllabus for their gradings and build their strength and endurance. In all of our classes, we make sure that you are always learning and growing. Kickboxing brings many benefits: self-confidence, discipline, motivation, fitness and learning a new skill to name a few. This means that we are always striving to bring the best out of everyone training with us. So, for those who have just joined the Wolfpack Martial Arts family, we say hello and we can’t wait to see you all in your next classes! Remember, if you have friends or family who want to join in, remember the easiest way to book in is through the “Contact” tab on this website. Below is a video showcasing some of the students and training we do here at Wolfpack Martial Arts. This was made at one of our Open Squad Training sessions of the year – featuring our kickboxing coaches, Kevin and Natasha Baldwin, shot by one of our very own instructors, Jessica Smith. We hope everyone enjoys this video and comes along for the next one!